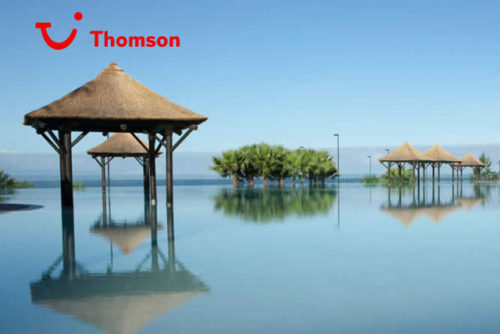 If you plan to book your holidays with Thomson (recently rebranded to TUI) you can save quite some money now thanks to our special Thomson discount code. To get massive £40 discount per person from your booking at Thomson.co.uk / Tui.co.uk, click on the link below to see the promo code and then enter it during the booking process. This Thomson Holidays / TUI discount code works on package holidays until end of October 2019. Minimum purchase value for this discount code to work is £1000. The offer does not apply to group bookings of more than 9 people, hotel only, flight only, and cruise or ski bookings. We have a brand new TUI discount code to celebrate Black Friday 2017. You can get incredible £150 discount on your trip. The first £150 off TUI discount code is valid for long-haul flights only, while the second code for £100 off works also for short-haul flights (e.g. flights in Europe). There is minimum spend £1000 and £500. Codes are valid until 28th November and travel dates are from 1st January 2018 until end of October 2018. We just received a brand new discount code for Thomson for huge £100 discount on your trip. This Thomson discount code is valid for £100 discount from your minimimum £1500 purchase. The promo code is valid from 3rd October 2017 onwards for travel dates until end of April 2018 so you have plenty of time to plan ahead! Thomson sent us brand new promo code for massive £150 discount from your purchase! This promo code works for £150 discount from any holidays on thomson.co.uk. Discount is valid on on long-haul holidays starting from 5th April 2017. Expiry dates is not set. 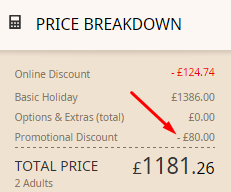 The minimum spend for this discount code is £1500 before any extras such as insurance, room upgrades & selecting seats, are added, so it is ideal for example for family holidays or group of friends. Thomson released a new discount code for incredible £150 discount from your Thomson Holidays! Discount is valid on on long-haul package holidays (including Aruba, Barbados, Costa Rica, Cuba, Dominican Republic, Dubai, Florida, Goa, Jamaica, Mauritius, Mexico, Sri Lanka, St Lucia, Thailand) departing between 1st May and 31st October 2017. This Thomson promo code works on Holidays with minimum total purchase of £2000 so it’s ideal to use it on bookings for whole family or group of friends. The promo code is not limited by time so it should work pretty much whole year! Thomson sent us brand new promo code for massive £100 discount from your Thomson Holidays! This promo code works for £100 discount from any holidays on thomson.co.uk. Discount is valid on on package holidays departing between 1st May and 31st October 2017. This Thomson promo code works on Holidays with minimum total purchase of £1000. How to apply this Thomson / TUI discount code? Select your holiday and go through all the steps to the last “Book” page. Locate the “Discount code” field here and paste the discount code shown above. After entering the discount code and hitting the Apply discount button, you will see updated final price with 40 GBP discount per person. This means saving of £160 for a group of 4 people! Save up to 10% When You Book Online at Thomson (TUI) – Book now! Enjoy your cheaper holidays with Thomson!